TEAMS from Copeland, Barrow and Ulverston travelled to Penrith Leisure Centre to attend the second round of the Cumbria inter club diddy league, which was hosted by Penrith Swimming Club for the first time. The diddy league is a team competition for the younger swimmers, aged nine to 11, some of whom are competing for the club for the first time. A gallery at the pool was packed with family and friends cheering on the competitors. Approximately 100 swimmers took part in various events including 50m freestyle, butterfly, backstroke and breaststroke, team relays of 25m in each stroke, and a medley race. With the final event of the session the noise level rose as competitors and spectators were encouraged to cheer on their respective teams in the “cannon”, which involves six swimmers (three girls and three boys, one from each age category) in a 25m freestyle relay. The overall points score saw Penrith in third with a highly respectable score of 92. The next round will be in a month’s time, with the top teams after all three rounds going forward to a final in October. 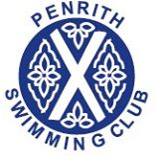 The gala ran extremely well, with parents, officials and members from visiting clubs complimenting the Penrith club on the smooth running of the day and the friendly atmosphere.